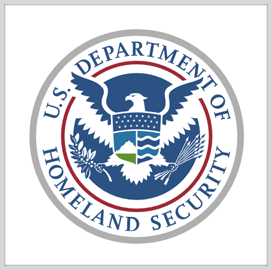 The Department of Homeland Security's science and technology directorate is inviting public and private sector organizations that can provide technology platforms for integration, test and evaluation at an upcoming first responder exercise in Alabama. DHS S&T said Monday it looks to assess "on-body, incident area, agency-wide or cross-jurisdictional" innovations during the Birmingham Shaken Fury Operational Experimentation scheduled to take place in the week of Aug. 5. OpEx is part of the directorate's Next Generation First Responder Apex program and open to vendors, governement agencies, academic institutions and federally funded research and development centers. Interested organizations can submit applications through Feb. 28 and should focus on capability gaps listed in the request for information notice. Technology areas of interest include sensors, situational awareness platforms and responder and resource tracking systems. ”During the NGFR – Birmingham Shaken Fury OpEx, S&T will evaluate how DHS-developed technologies, commercial technologies, and existing public safety systems integrate using open standards, and how those integrated capabilities increase responder safety and efficiency,” said Cuong Luu, an S&T program manager.